Low-Density Parity-Check (LDPC) codes are a well known Error Correction Code family used for instance, in wireless and satellite communication links. Error correction performance of LDPC codes was further enhanced by extending it to higher order Galois fields, giving rise hence to the so-called non-binary LDPC codes (NB-LDPC). Error correction performance improvement (CCSDS 2014) is the main reason behind the adoption by the Consultative Committee for Space Data Systems (CCSDS) of the NB-LDPC codes in the experimental specification for the future next generation uplinks (CCSDS 2014, 2015). The high error correction efficiency for short frames make NB-LDPC codes a good candidate for IoT applications. 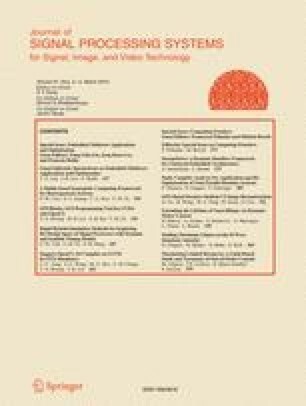 However, the performance gain comes at the expense of a high decoding computational complexity (CCSDS 2014; Conde-Canencia et al. 2009). In this paper, an x86 multicore NB-LDPC decoder implementation is provided. This decoder that implements the FFT-SPA algorithm provides a throughput improvement of about 1.3 × to 2.7 ×, a latency reduction of more than 95% and a power consumption halved in comparison with the most efficient works on GPU (Graphics Processing Unit) device. Indeed, an efficient memory mapping and computation optimizations on the x86 architecture enable to achieve a higher decoding throughput than the GPU-based in similar experimental setup. Consequently, the throughput efficiency, the low processing latency associated with a low power consumption makes this proposed multicore implementation practical and attractive for real time implementations of NB-LDPC decoders in future SDR or Cloud-RAN systems for CCSDS standard and IoT applications. The authors would also like to thank INTEL Inc., for providing access to vLab Academic Research Environment. Helmling, M., & Scholl, S. Database of channel codes and ml simulation results. University of Kaiserslautern, https://www.uni-kl.de/channel-codes.